Official synopsis for the eleventh series! But today, we're able to give you not one, but two, pretty big pieces of information. First of all, while the specific day is yet to be confirmed, we can now announce that Series XI of Red Dwarf will be broadcast on Dave in September 2016. Officially. 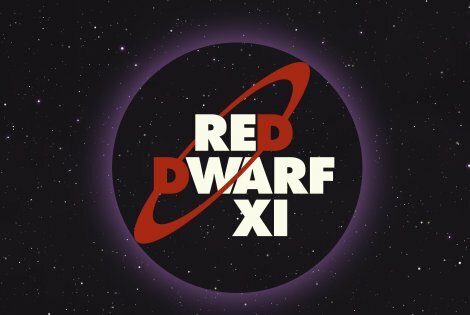 Red Dwarf XI, the eleventh series of the legendary sci-fi comedy, reunites the original cast of Chris Barrie (Rimmer), Craig Charles (Lister), Danny John-Jules (Cat) and Robert Llewellyn (Kryten) along with a host of guest stars for a brand new series recorded in front of a live studio audience at Pinewood Studios. 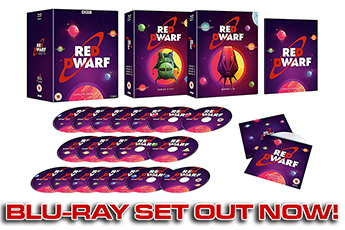 The series is written and directed by Red Dwarf co-creator, Doug Naylor, and produced by Richard Naylor and Kerry Waddell for Baby Cow Productions & Grant Naylor Productions. 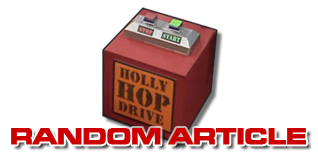 The show's six episode run sees two of the Dwarfers' dreams come true: Rimmer accidentally saves the life of a Space Corps Captain and is promoted to Officer, while Cat takes time off from being in love with himself to fall in love with a female Cat with a secret. Meantime, Lister wakes up to discover a deranged droid has stolen some of his body parts and Kryten has a mid-life crisis and considers leaving the Dwarfers for a younger crew. The posse also find themselves in an alternative America where modern technology is outlawed, making both Kryten and Rimmer illegal. With big laughs and dazzling effects, Red Dwarf XI recaptures the show's golden age. 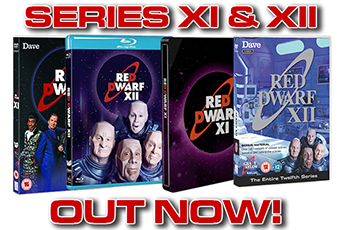 Red Dwarf XI will air exclusively on Dave in September 2016!